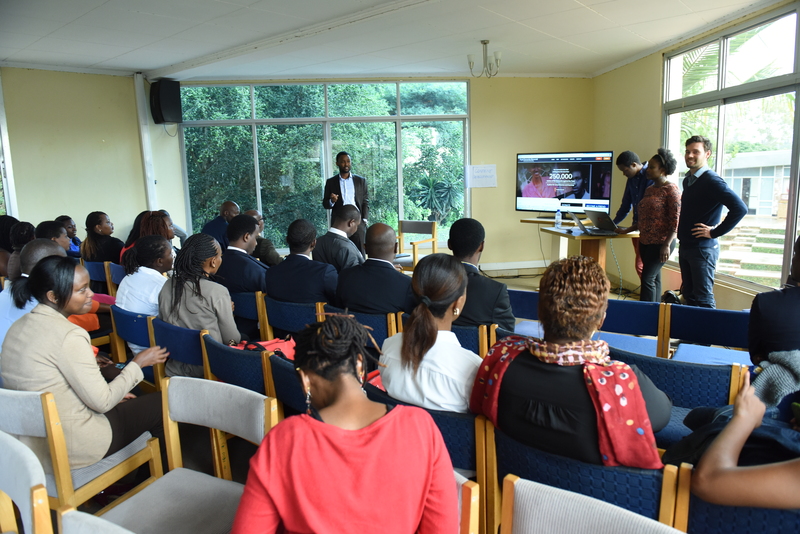 On Friday 23rd of October, Paul Rukesha from Aegis Trust Archive and Documentation e team, and Andreas Loepsinger from GIZ organized and moderated the first roundtable discussion at the archive library. This discussion focused on Janine Clark’s article titled “Learning from the Past: Three Lessons from the Rwandan Genocide”. Janine Clark is a Senior Lecturer at Birmingham Law School, University of Birmingham. In the discussed reading Clark talks about three lessons that can be learnt from the genocide against the Tutsi. The first lesson is that genocide perpetrators should not be dehumanised and should be given a voice; the second is that genocide is not carried out by monsters and psychopaths but by ordinary people who, under certain conditions turn into perpetrators; and the third lesson is that retributive justice alone is not enough to facilitate reconciliation in post-conflict societies. This discussion started by encouraging participants to share their opinions about the reading, and the moderators clarified that they did not necessarily share the views expressed by the author. The first point to come up was how the title of Clark’s article was a bit problematic as it refers to the 1994 genocide against the Tutsi as the “Rwandan Genocide”. The term “Rwandan Genocide” is frequently used by several authors when referring to the genocide against the Tutsi, but this appellation is ambiguous because it does not clearly reflect what happened in 1994 as it was confirmed by the United Nations Security Council. The discussion continued with an elaborate debate on why perpetrators should be given a voice, and how it could be done. Participants settled that giving perpetrators a voice is useful to documenting the genocide, and helpful in educating young people about accountability and the consequences of the genocide on a personal and national level. Participants also noted that perpetrators testimonies tell unique stories that could help scholars and researchers to better understand the genocide against the Tutsi. Additional points of discussion explored circumstances that can facilitate ordinary people to become perpetrators. Most participants concurred that genocide perpetrators are indeed ordinary people who have committed unordinary crimes. The discussion continued by examining if there were ways to reverse the conditions that enable these ordinary people to become perpetrators. Participants agreed that cultivating and practicing values like compassion and empathy could prevent ordinary people from committing genocide crimes. This blog entry cannot do enough justice to the heated debates that took place while discussing the points mentioned above. It is not always that members from different Aegis Trust departments meet to discuss thought-provoking subjects such as the ones brought up by Clark in her article and how they relate to the work we do. I commend Rukesha and Loepsinger for initiating these roundtable discussion series, and am eagerly looking forward to the next one! My name is Yvette Umutoniwase and I am in charge of research and content development at the Genocide Archive of Rwanda. When I started working at the archive a year ago, I didn’t know what was waiting for me. Since then, I have been lucky to do something that interests me, challenges me and gives me the opportunity to constantly learn. 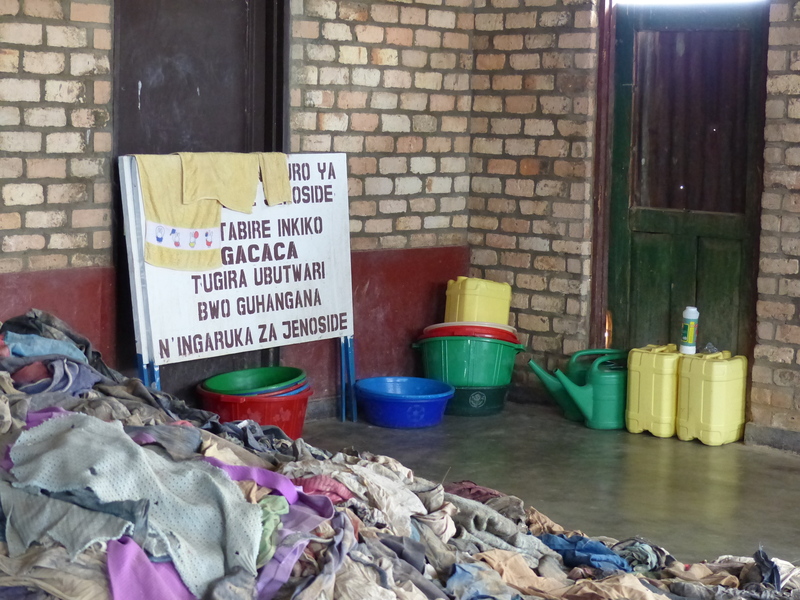 I didn’t know much about the 1994 genocide against the Tutsi when I joined the archive. Mostly because I didn’t want to learn, and also because I was scared of what I might learn. I survived the genocide when I was seven years old. As a child, I didn’t understand much about what went on in 1994. When I was growing up, I did my best to ignore and forget everything about the genocide. Today I learn about the genocide every day I go to work. I read documents and reports from the archive, write about killing and memorial sites and research genocide related subjects. Needless to say, I read and write about the genocide a lot. And even though it’s a scary and depressing subject, it’s also very interesting. I cannot claim to know everything about the genocide, I cannot even claim to know enough. I always feel like I have so much to learn, and I know I will never stop learning. My favourite part of the work I do is field research. Most often this involves interviewing people. The largest part of the archive’s collection is testimonies given by people with different experiences of the genocide: survivors, perpetrators, rescuers and elders. It’s my job to meet with these people and collect their stories. 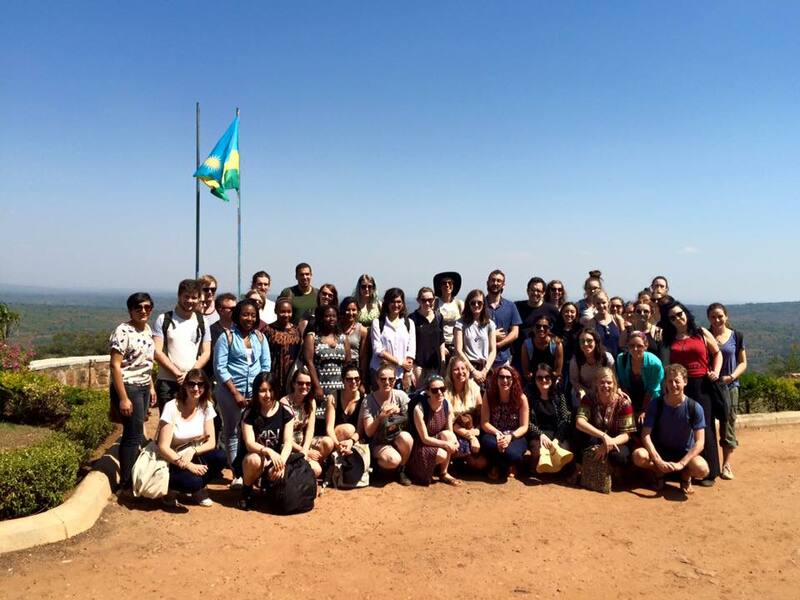 During my last field research, my colleagues and I went to Rusizi in the south west of the country to arrange interviews with people who had committed the genocide. We met with five perpetrators from different villages in the district who were willing to give their testimonies. Before we conduct the interviews (which are video recorded) we give interviewees a pre-interview questionnaire to fill in. As I was helping the interviewees complete the questionnaire, two of the perpetrators told me they were related. As soon as they told me, I saw a striking resemblance between them. They looked alike, except one was clearly older than the other. It turned out that they were father and son. I was incredibly surprised when they told me. In all my time at the archive I had never met two perpetrators who were father and son. Questions started to run through my mind. How could that happen? When they went to kill people, did they leave home together as if they are going for a normal father-son activity? I have heard a lot of different stories about children who grew up with the shame of what their parents had done during the genocide – stories of fathers who didn’t want their sons to kill and stories of sons who didn’t want their fathers to kill. In most stories, a family has one perpetrator and I subconsciously thought that was the standard. Meeting these two men had me wondering about the effect it has on a family to have more than one perpetrator in the family. Does it increase the guilt the rest of the family feels? How is the relationship between the two perpetrators? And do they relate to the rest of the family? I know the answers to these questions will be complex and challenging. The testimonies we collect, from both survivors and perpetrators, are difficult to hear but they are an incredibly important resource for learning and teaching. By listening to those who were here in 1994, by asking them about their experiences and by sharing what we learn with the world, our team is helping to educate about the factors that lead to genocide and how to prevent it from happening again. When I first started working at the archive I didn’t realise the kinds of experiences my work would give me. Today, I’ve learnt more than I could have imagined and met people from all walks of life. I’m incredibly grateful to contribute in a small way to our global understanding of genocide as well as learn something new everyday. Yvette Umutoniwase is a Research Assistant at the Genocide Archive of Rwanda. She develops content, conducts research and collects information to build the archive’s collections. My name is Yvonne Umugwaneza and I work for Aegis Trust in its Archive & Documentation department. Every day I communicate the work of the archive by writing stories about our activities and by organising and arranging the documents & photos on the Genocide Archive of Rwanda website. Communicating what we do is important because it provides information on the 1994 genocide against the Tutsi to people around the globe. This is one of many ways we use facts and evidence to teach the world about how the genocide was planned and implemented in Rwanda. 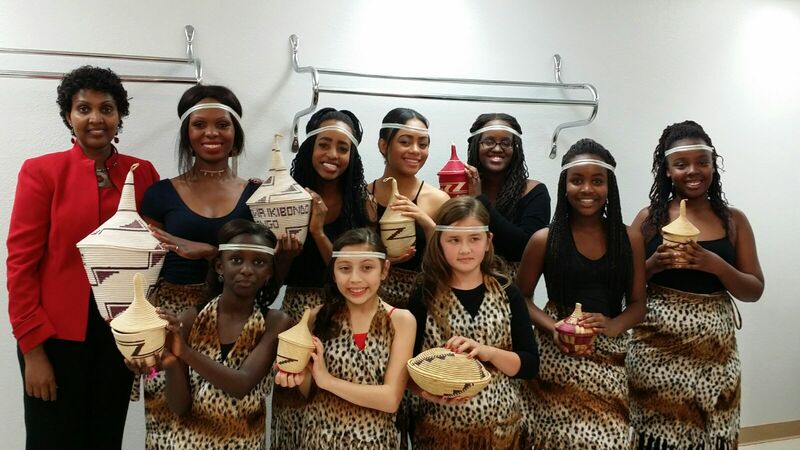 The activities we have range from collecting materials to digitising content and making it accessible on the website. Once documents are collected, the next step is to store them in the right format and create metadata. To do this, I go through its content to understand it well, and then select its key components. This allows me to create precise and comprehensible metadata. I also create a short description for the document to help anyone who views it to get a quick summary before going in depth. 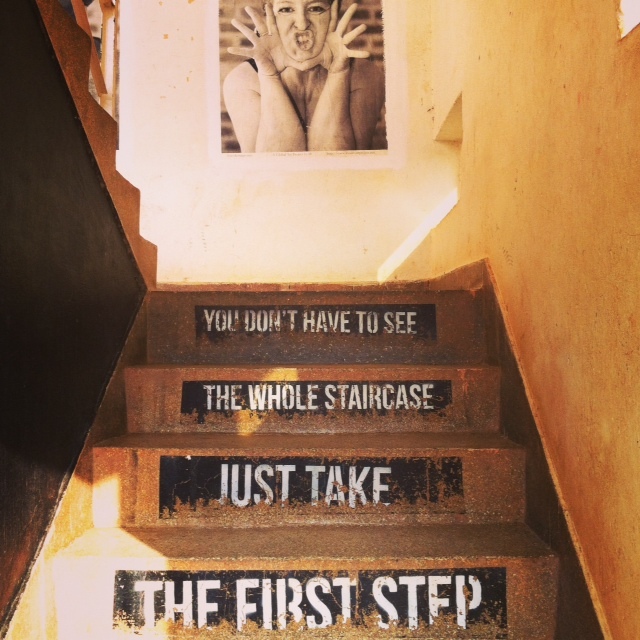 These steps ensure that materials are easily and quickly accessible from their source. It is important for us to follow a set of guidelines when uploading the content so that our users consistently access accurate information. Once a document is uploaded, described and provided with its metadata, access to it is provided through the archive’s website. Providing information about the genocide plays a crucial role in its prevention and the peace building process. 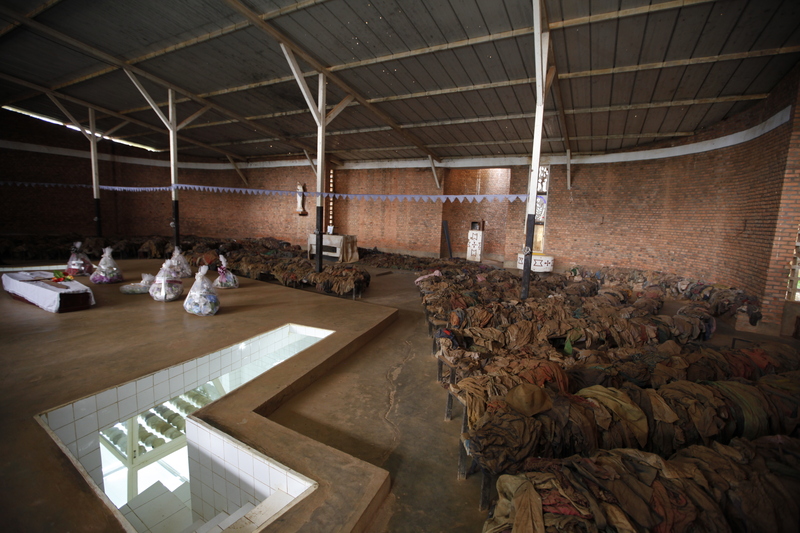 By making these archives available, people around the world are able to understand that the genocide in Rwanda was not an ethnic conflict, but a planned and systematic campaign implemented by the government against its own citizens. As people understand the nature of genocide against the Tutsi, they will gain a better understanding of Rwanda’s historical background. This is important because it helps to provide a clear picture of the genocide’s impact and consequences on the Great Lakes region. While counties in the region have a lot of differences they also have a lot in common. Understanding the history and consequences of the genocide in Rwanda helps us to understand and respond to the root causes of the conflicts that have affected some of those countries. With a good understanding of the 1994 genocide, the prevention of such tragedies will likely be increased. 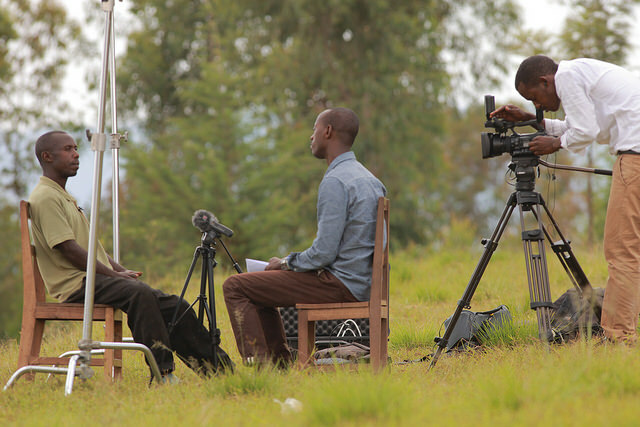 The Genocide Archive of Rwanda also includes information about unity & reconciliation projects throughout the country. 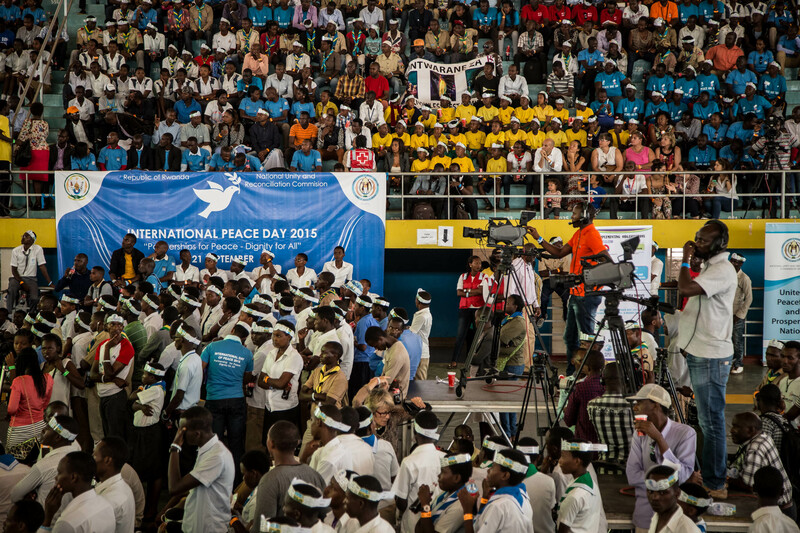 These are the programmes being implemented to reunite the country through a foundation of peace. Many of these programmes draw on the archive as a resource. 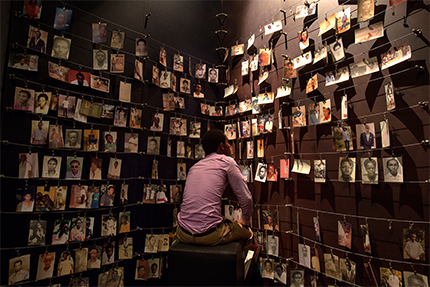 The aim of the Genocide Archive of Rwanda is to respect the victims of the genocide by keeping their memory alive, sharing survivors’ experiences, and engaging with people around the world to learn about what happened here in 1994. Having the materials accessible to users globally, and organised in a way that makes it easy for them to use and learn from, is an important part of achieving this objective. Yvonne Umugwaneza is the Communications Officer for the Genocide Archive of Rwanda. She also uploads and catalogues content to be featured on the archive’s website.